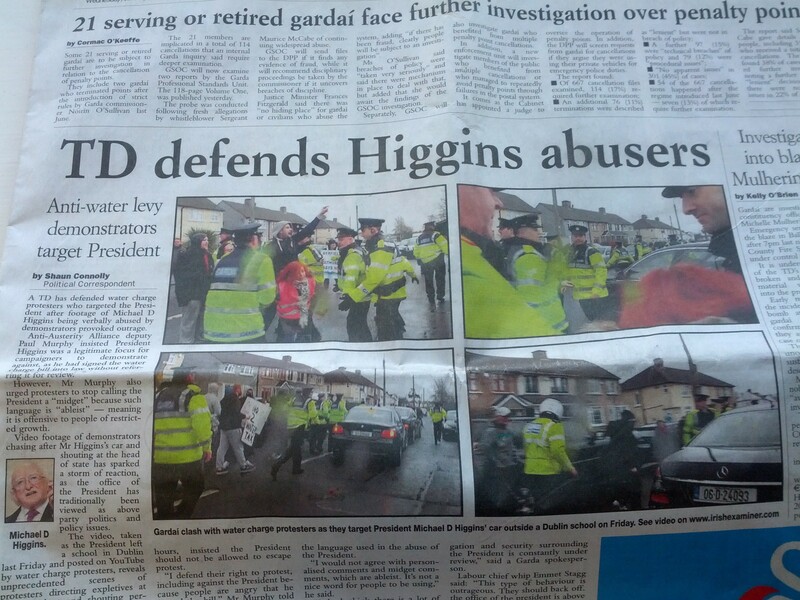 Top picture the Irish Independent complaining of disruptions to the 1916 commemorations by striking Tram drivers. Below the Irish Independent calls for the further execution of 1916 leaders and against clemency (May 10 1916); Below the Irish Times calling for same. Finally the Herald denouncing Tram workers in 1913. Irish Independent May 10 1916 calling for further executions of the 1916 leaders. 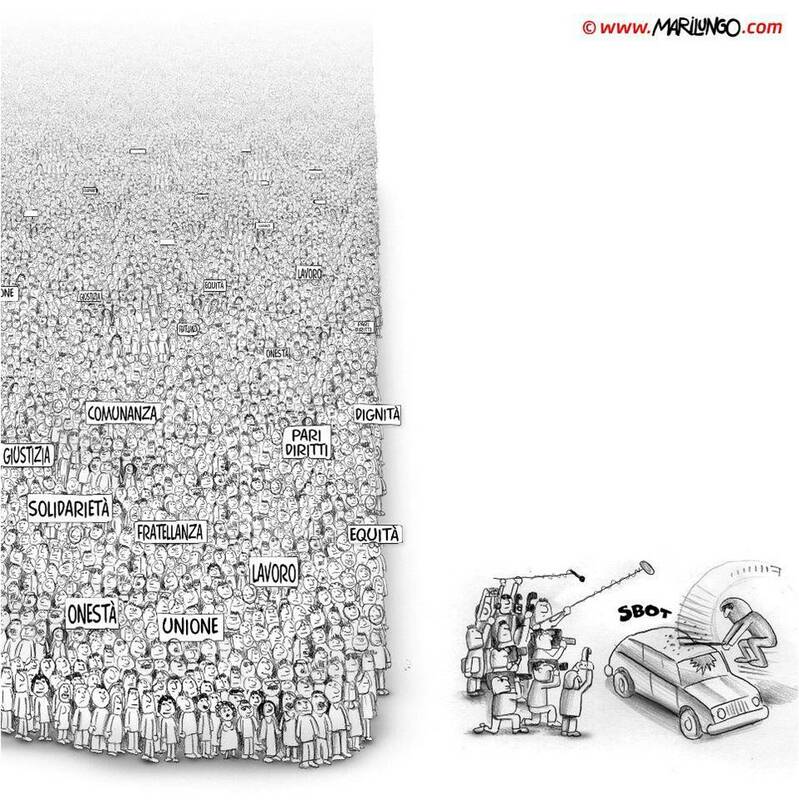 Media framing can simply be described as the angle or perspective from which a news story is told. While news is often thought to be objective and value free this is rarely if ever the case. In fact most news stories are value laden in both their production and content. News is not an exact representation of reality but rather a reconstruction from various angles of a small section of reality. This is not to say journalists necessarily lie or consciously distort the truth, but that journalists by covering particular stories, using particular sources from a particular news angle are constructing reality through a selective process. Moreover they are constrained both by the work practices, constraints of resources and their relationship to shareholders and/or managers. 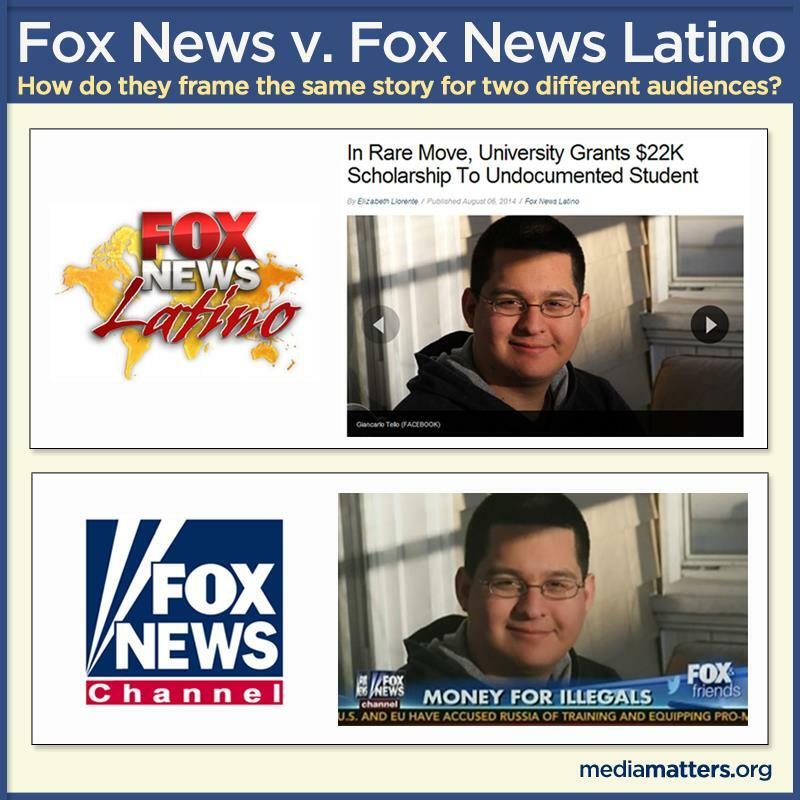 While agenda setting or gatekeeping decides what a newspaper or broadcaster covers or does not cover, the frame is the overarching angle of how the various stories are treated once they are covered. Framing, like agenda setting, is an inherently ideological act (whether consciously or not). The frame of a story (or group of stories) will have influence on how that story is investigated and reported, who the journalist chooses to speak to, what questions he or she asks and how information is interpreted and reported. Various issues can influence how frames are created; not least overarching ideologies in societies or what is often considered ‘common sense’. 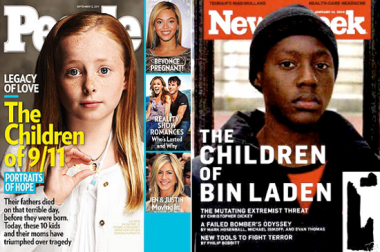 Likewise issues such as the race, class and gender of journalists, editors, owners and audiences can influence framing. Finally the production of news or how news is constructed is of importance. News makers often depend on institutional sources such as police, courts and politicians to supply stories which can both influence agenda and how a story is defined. One example of Framing is the drugs issue; there are numerous ways this issue can be framed. 1: The law and order frame – here the key issue is that drug addicts or junkies are criminals putting our communities and children at risk. Drug pushers must be stopped and petty crime or even crime waves are caused by junkies feeding their habit. Moreover addicts shooting up on streets is unsightly, immoral and bad for tourism. Local Politicians or the Minister of Justice may be questioned on why something isn’t done; victims of crime may be interviewed or businesses who are in areas frequented by addicts. Likewise police may be questioned on what they are doing to curb the criminal activities. 2: Drug misuse as a health issue: Here the key framing is the health of the drug user and issues of health in wider society. Here a Health Minister might be interviewed to discuss funding for treatment centres, various health professionals or experts may be interviewed on issues such as treatment or controversies about types of treatment. 3: Drug misuse as a social problem: Here drug misuse may be framed as a social issue connected with class, race and dysfunctional society. Here the question of which areas are worst affected by drug use and associated crimes might be discussed alongside issues such as unemployment and social deprivation. 4: Recreational Drugs should be legal: In this less common frame recreational drugs are seen as a normal part of society and issues such as addiction and social problems are downplayed or compared with already legal drugs such as alcohol or cigarettes. The cost of ‘the war and drugs’ and the issue of the criminalisation of dealers are often an issue here and policies of ‘harm reduction’ may be emphasised. How do you deconstruct frames? 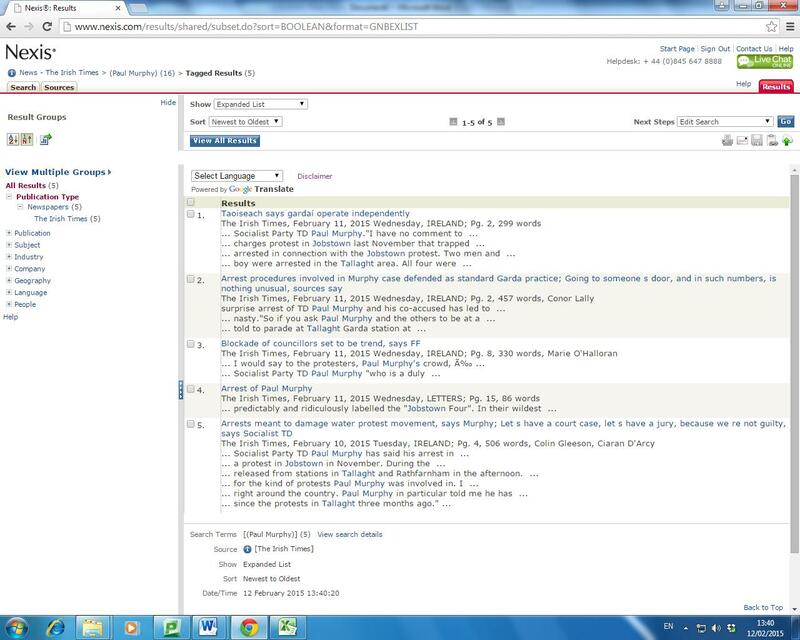 What assumptions are in the articles? Frames often have an overarching assumption or assumptions: For example in the current economic crisis there is often an overarching assumption of what is termed ‘Neo Liberal Economics’ one aspect of this frame assumes cuts are necessary in times of recession. This is at odds with other economic theories such as Keynesianism which favour counter cyclical government intervention. In the neo liberal frame the issue is not whether or not there should be cuts (that there should be cuts is a given), but rather where will the cuts fall, what is ‘fair’ etc. Organisations such as trade unions can often get caught up in the ‘fairness’ of cuts frame while missing the wider picture. Who are the sources? Who are the main source or ‘primary definers’ that sets the tone and agenda of the report? For example in most cases of violence in protest marches or political actions the police act as primary definer and it is assumed they were attacked even when this was clearly not the case. 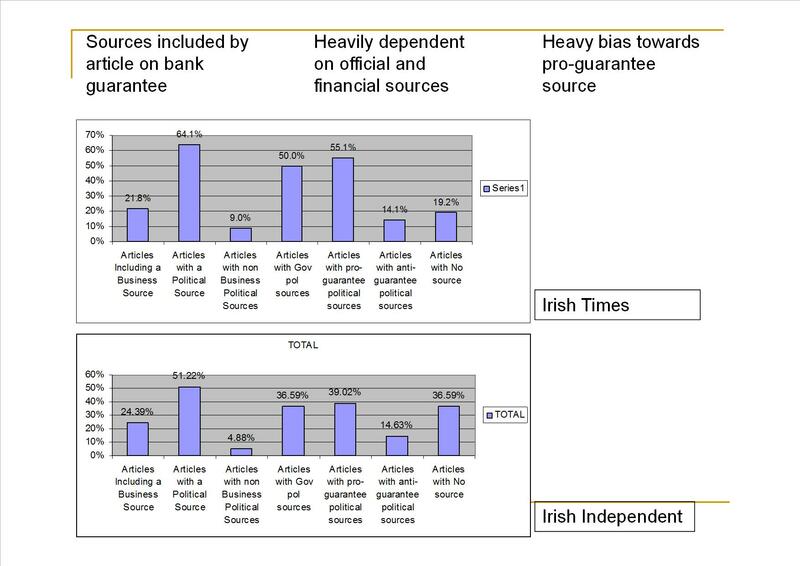 In most coverage of the housing crisis the sources have been heavily biased towards the property industry (see below for sourcing analysis on the 2008 Irish Bank Guarantee). What kind of language is used, adjectives such as ‘left’ or ‘hard left’ being used to describe Jeremy Cobryn is a good example. Likewise nouns such as ‘terrorist’ to describe one side of an armed conflict. For example in a recent RTE report on Israel/Palestine it was stated that Israelis were ‘brutally murdered’ while Palestinians were ‘killed’. Likewise Palestinian attacks on military targets are usually termed ‘terrorist attacks’ while Israeli attacks on civilian targets are not. Can any patterns or themes be found, for example in the coverage of Israel/Palestine? There is a pattern of language used to describe the sides. 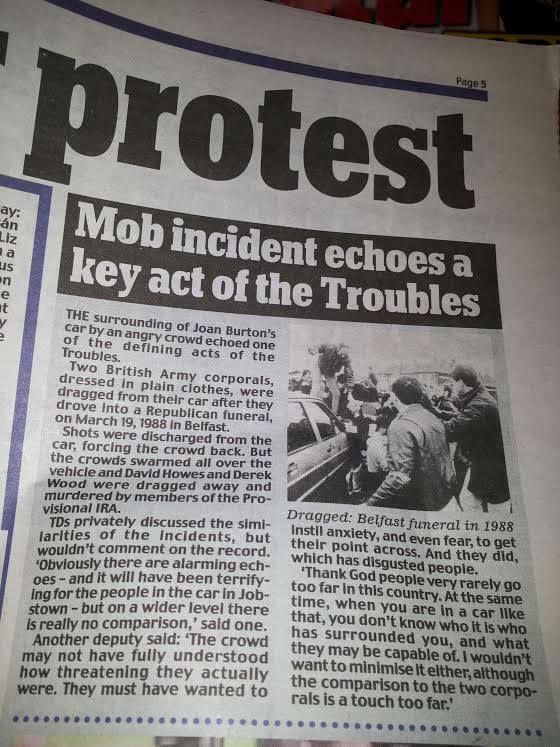 Is there a narrative that is being followed: For example in the case of Irish Water once Minister Leo Varadkar introduced the term ‘sinister fringe’ to describe elements of the movement the narrative was taken on by much of the press to describe what has arguably been one of the most peaceful movements in Irish political history. Metaphors can often be used in narratives. How are people or groups represented. A common device is the ‘othering’ of social groups, often minorities such as travellers, other ethnic minorities, refugees or migrants.Or even national or religious groups. The othering of such social groups can often be expressed as a problem, ie the ‘traveller problem’. Any social group can be scapegoated to suit a political situation such as single mothers in the nineties or public sector workers at the beginning of the economic crisis. Gender representation is important, for example the clothing of female politicians is more likely to be commented on in reports as compared to male. Class representation is also key here, for example in the current advertisement for EBS the working class are represented as both lazy and stupid while the middle class housewife is portrayed as put upon by ‘the help’. Working class people are often portrayed as both criminal and stupid in Irish advertising, probably reflecting the middle class nature of the profession. Frames can also be semiotic in nature that is based upon symbols in words or pictures. 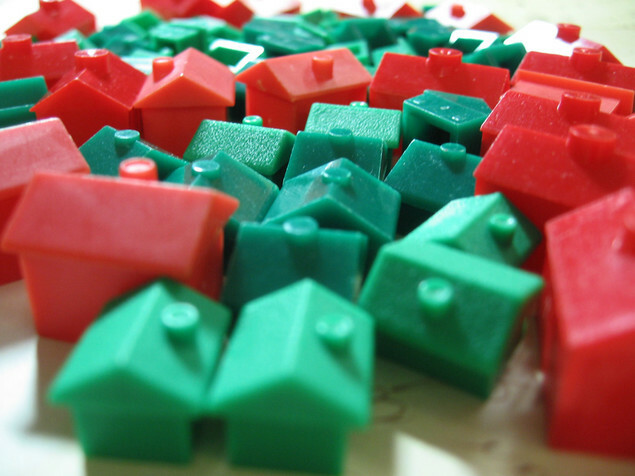 Likewise only private landlords can ‘supply’ rental housing. Landlords don’t increase the rent, the market does, and therefore landlords don’t evict people, they are unfortunately ‘priced out’ of the market. Again landlords should be incentivised via tax cuts and the loosening of regulations to give people the ‘choice’ to live in substandard accommodation. Rent control will distort the market and therefore cannot be introduced; moreover it is an attack on the rights of landlords. 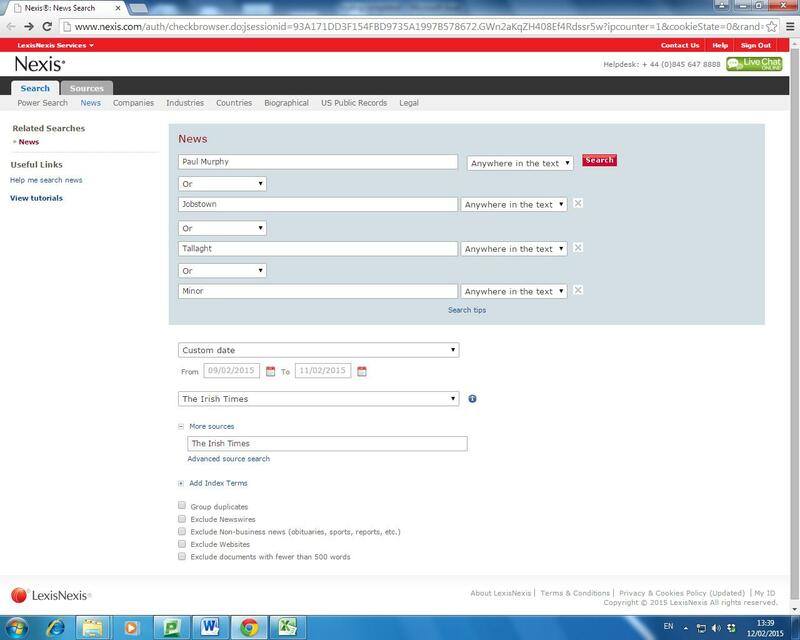 The above is the sourcing on news stories on the bank guarantee from from the 21st of September 2008 to the 5th of October 2008 (the week leading up to and following the bank guarantee) in the Irish Times and Irish Independent. As can be seen the sourcing is heavily biased towards politics and finance (NB there are multiple sources per news story). Having examined the media treatment of the Bord Gais Eireann (BGE) – Ireland’s State-owned gas provider – to UK-based Centrica Holdings, one of the key, over-arching frames was the idea that privatisation would bring benefits to customers. Many articles were based around the idea that privatisation would bring market deregulation which in turn would bring competition which would ultimately drive down the prices that consumers pay for gas. This tallied with the general frame evident in the analysis of the public characterised as consumers first and foremost- a key neo-liberal frame. Another key frame within the media was that privatisation is a generally desirable policy. This frame holds, notwithstanding the recognition that certain aspects of its implementation were insufficient in this particular instance; specifically the poor timing of the sale and the undervaluation of some of the State’s assets. These facts did not detract from the presentation of the privatisation in the media as a progressive policy generally. This tallied with the ubiquitous anti-State frame that State involvement in economic issues is unwarranted and unhelpful – the so-called ‘dead-hand’ moniker, whose absence would make way for deregulation and competition. An interesting frame which emerged from the analysis revealed the bias towards employees of BGE. While many had paid into an Employee Share Option Programme ESOP, and as such had built up shareholdings of their own, the coverage of this scheme in the sale, using pejorative terms like ‘trousering windfalls‘ demonstrates negative journalistic attitudes towards the ESOP as seemingly tenuous and less-deserving. Perhaps the most striking aspect of the media coverage was in its absence. There was ‘significant silence‘ surrounding the media’s coverage of the sale to the extent that one analyst commented that most of the company’s customers would not have been aware that it had been sold as it ‘just quietly happened’; recognising the dearth of coverage of an issue that warranted genuine public interest, one that was overlooked in favour of predominantly consumer-based frames. In previous posts we have discussed the fact that the Irish Water protests and movement has continued to grow despite being written off numerous times by mainstream media. Moreover the movement has sustained itself against overwhelming media bias, sensationalism and negative framing, in what has seemed an almost overt attempted to de-legitimise the movement. Yesterday Rory Hearn of the Geography department of Maynooth University published a paper which sheds some light on this process by (in part) looking at attitudes towards media among water activists and the use of social media as an organising tool, something we previously discussed here. This gives some empirical evidence towards the suspicion of waning media power among at least a significant segment of the population. A survey was conducted with over 2,500 anti water charge activists on their reasons for becoming involved, their attitudes towards the current government, tactics and future political preferences. Here we will highlight the reports findings about the media. The full report can be found here. In particular it was noted that they have used social media very effectively as a way of providing information that the mainstream media has not covered. The movement has, according to respondents, overcome the ‘propaganda’ from the mainstream media, gained attention of foreign media, and ‘brought the issue to national attention’. It has done this through ‘the effective use of social media to discredit mainstream media’. 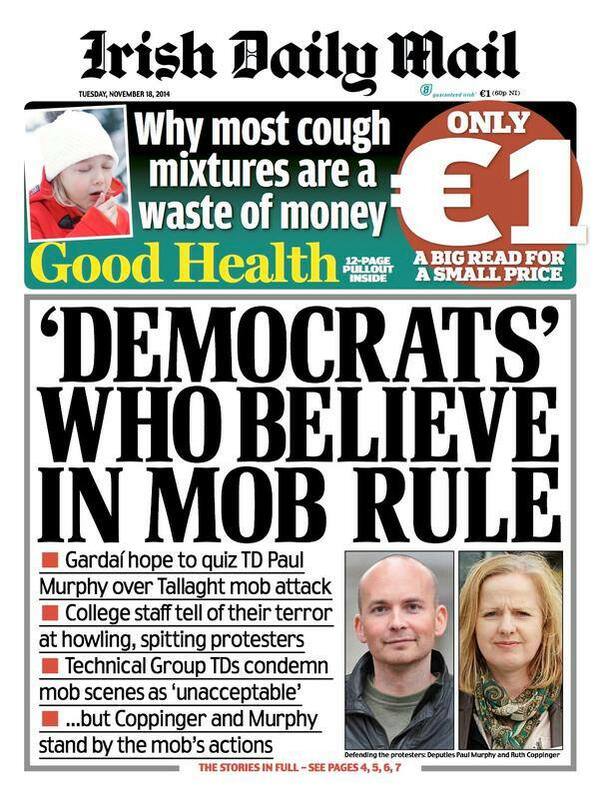 Respondents are concerned that ‘lies in the media with the help of the Gardai about the real number of protesters is unjust and unfair and if others knew how many were really there they might get interested and get educated about it’. The report highlights issues that have been debated over the last number of years as traditional media (print, television, radio) has been challenged by newer forms of publishing, social network sites and blogs that allow alternative views to be broadcast at a fraction of the traditional cost. Easy access to alternative or external (extra national) forms of media through the internet allows people to escape the dominant media of their country if they wish, and on rare occasions so called ‘citizen journalism’ on the internet may break through dominant frames or agenda. However some research suggests that most news sourced on the internet comes from the websites of mainstream media groups (Castells 2009 p. 196). However looking at the number of hits on youtube from uploads on by Irish water activists (sometimes in the hundreds of thousands) this may not be the case, though further research is necessary to confirm this one way or another. This so called ‘communication revolution’ may represent a paradigm shift in communications as new forms of broadcasting through the internet have allowed for new forms of mass media and new forms of audiences and alternative forms of communication (Castells 2000, 2009). The contemporary media sphere sees numerous ‘entry points’ which can be utilised by producers/writers/reporters or political activists and has the potential of a mass audience. The technological revolution for McChesney offers historical possibilities in other words the possibility that the internet might finally herald the advent of an open and inclusive ‘public sphere’ (Schuler and Day 2004 p. 3). And this has been certainly been the most extensive and effective use of social media in Ireland to date. However it is important to remember that dominant groups have successfully usurped (or more commonly co-opted) such potentials many times before, and to date the traditional mass media still holds a vastly dominant position. The success of the Irish movement’s use of social was made possible by the mass dissemination of facebook in the Irish population with reports that up to half of the entire population have facebook accounts. This of course has inherent dangers as it gives a single company with little democratic oversight considerable powers. It has also been argued that the online alternative media are at the core of (rather than simply reporting) the alternative social movements as they act as a force for organisation rather than simply reporting their actions and opinions (Coyer, Dowmunt and Fountain 2007). This of course is nothing particularly new, as political newspapers were often seen firstly as organising tools and secondly as newspapers, or as Lenin (1901) expressed it the newspaper acted as the organisational ‘scaffolding’ for political movements or parties. The southern Mexican Ejército Zapatista de Liberación Nacional (EZLN) movement were probably the first group to do so on an international scale in the mid-1990s. Since then many movements, most notably indymedia, have been able to use cheap production tools and cheap distribution on the internet to disseminate their views often breaking into the mainstream. However it is important not to confuse the dissemination of counter hegemonic views with counter hegemonic power, while sub-altern groups may be given a voice this does not guarantee political or economic power. 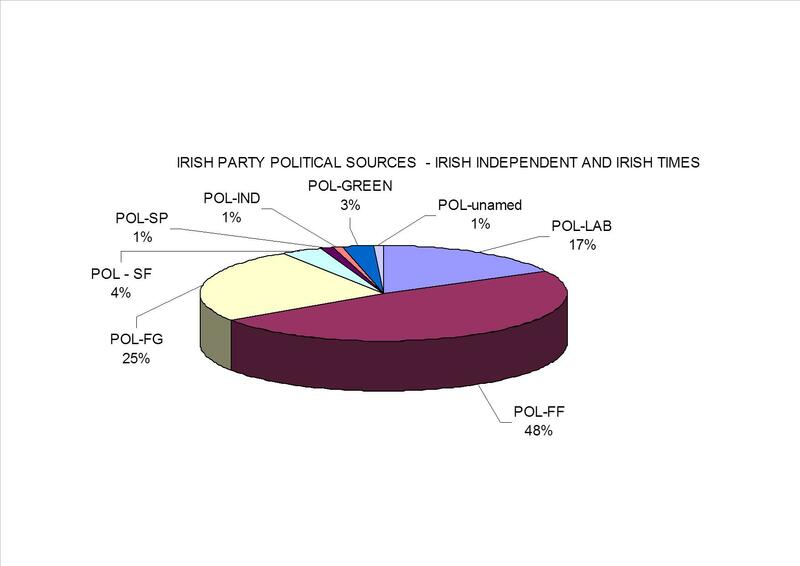 For example the anarchist Worker’s Solidarity Movement (WSM), an organisation counted in the dozens, but with savvy programmers, is the second most popular political party on Facebook in Ireland with over 50,000 followers, this compares very well to Fine Gael (Ireland’s largest political party and major coalition partner) with only 10,000 followers. While the WSM is second only to a resurgent Sinn Fein (with 65,000 followers), nobody would argue that this popularity translates offline into political power. ‘it would be at best naïve to assume that the authority of economic science that underpins digital capitalism and is reinforced across academic, policy and media fields can be simply undone through the transformative power of blogs, social networking and other user generated content’. But democratized and independent though they may be, you do not – in my city — run into bloggers or so-called citizen journalists at City Hall, or in the courthouse hallways or at the bars and union halls where police officers gather. You do not see them consistently nurturing and then pressing sources. You do not see them holding institutions accountable on a daily basis. Eugenia Siapera (2013) warns that some of the windows of opportunity for citizens and political activists opened by the new forms of media production and distribution are closing. This is due to the development of the new online media ecosystem that sees an increased concentration of distributive power on internet platforms such as Facebook or Google (Siapera 2013 p. 14). The new powerful internet distributors operate by the logic of what Siapera defines as infomediation. This can be defined as a process of bringing together information producers and information users to exchange contents and secondly to record as much data on users as possible to sell onto third parties – the process of immanent commodification. This leads to not only an introduction of new categories of news and information content but also the likelihood that the hierarchies will be related to how the infomederies may ‘value’ and monetise their readers; as different audiences will be of different value to various advertisers. This according to Siapera is likely to impact on the actual distribution of news contents customised to fit the appropriate type of audience (Siapera 2013 p. 16). While on the one hand social media allows the easy dissemination for alternative views and politics it may be also argued that political activists must be cautioned against establishing isolated echo-chambers rather than engaging with wider society. Blumler, J.G. and Gurevitch, M. 2001. The new media and our political communications discontents. Information, Communication and Society, 4(3), pp.435-457. Castells, M. 2000. The Rise of the Network Society. 2nd ed. Oxford: Blackwell. Castells, M. 2009. Communication Power. Oxford ; New York: Oxford University Press. Chakravartty, P. and Schiller, D. 2010. Neoliberal newspeak and digital capitalism in crisis. International Journal of Communication, (4), pp.670-692. Coyer, K., Dowmunt, T. and Fountain, A. 2007. The Alternative Media Handbook. London: Routledge. Preston, P. 2009. Making the News: Journalism and News Cultures in Contemporary Europe. New York, NY: Routledge. Schuler, D. and Day, P. 2004. Shaping the Network Society: The New Role of Civil Society in Cyberspace. Cambridge, Ma ; London: MIT Press. Siapera, E. 2013. Platform infomediation and journalism. Culture Machine, 13pp.1-29. ‘The role of a newspaper, however, is not limited solely to the dissemination of ideas, to political education, and to the enlistment of political allies. A newspaper is not only a collective propagandist and a collective agitator, it is also a collective organiser. In this last respect it may be likened to the scaffolding round a building under construction, which marks the contours of the structure and facilitates communication between the builders, enabling them to distribute the work and to view the common results achieved by their organised labour’ (Lenin 1901). Number of Facebook followers correct as of 22/04/2015. 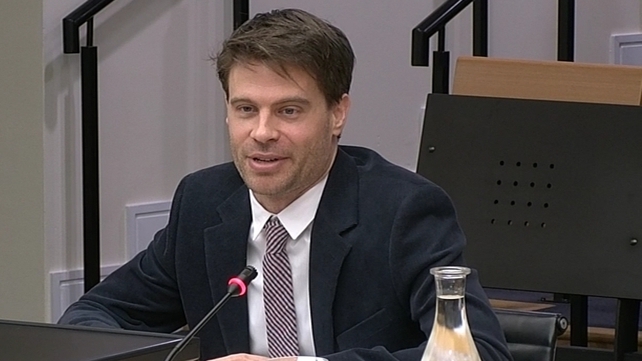 Tom Murphy and Tim Vaughan, CEO and Editor of the Irish Examiner at the time of the housing bubble, spoke to the Dail Committee investigating the banking crisis on the role of their paper in the housing bubble. If we were guilty of anything – and I believe we were – it is that we believed and accepted that institutions such as the financial regulatory authorities were doing their jobs and doing them competently, with due diligence, appropriate compliance policies and proper political and departmental oversight, all of which we believed were designed to ensure the stability of our economy. From what we know as a result of the Honohan, Regling-Watson and Nyberg reports and the contributions of others to this inquiry, it appears to be obvious that our trust in these various arms and agents of the State was, to say the least, misplaced. 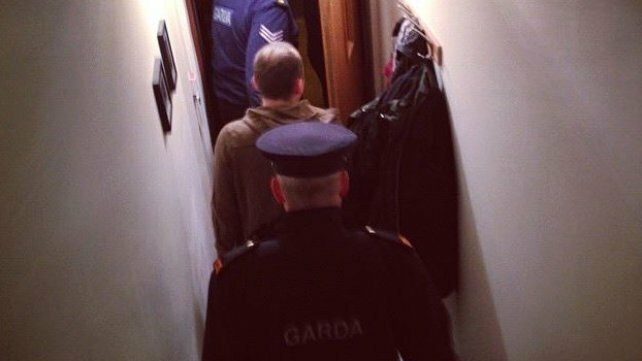 On Monday morning the Gardai began a highly political series of dawn raids which have so far seen 17 people, including two minors, arrested in force. The raids began on Monday with the arrest of three politicians, two local and one national, Paul Murphy TD. The arrests are concerned with a protest last November at which the Minister of Social Protection Joan Burton was delayed for up to two hours. No arrests were made on the day of the protest itself. 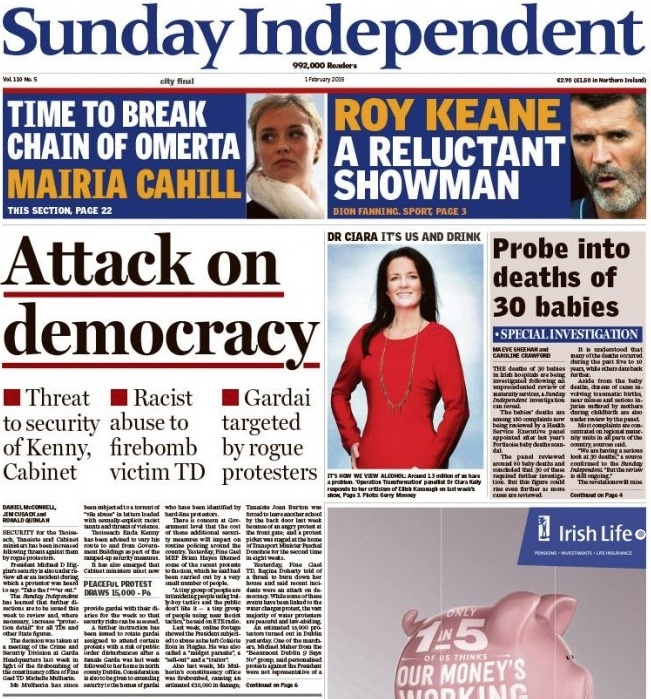 So what has the Irish Times had to say about this affront on democracy and the right of protest, not much it seems, the print edition between Monday and Wednesday has produced a total of four articles (including a letter) with just over 1,000 words and no editorials. at the time of writing the arrests continue, it will be interesting to see if D’Olier St. has anything to say on the issue over the next number of days and if so what it is, watch this space. This Morning, at approximately seven am, six Gardai arrested Socialist Party TD Paul Murphy, at the same time Gardai arrested two other Socialist Party/AAA Councillors from the Tallaght area, a member of Eirigi was also arrested. This follows months of frankly hysterical media coverage around a minor protest in Jobstown, a working class suburb of Dublin, where a picket held up the Minister of Social Protection for two hours. 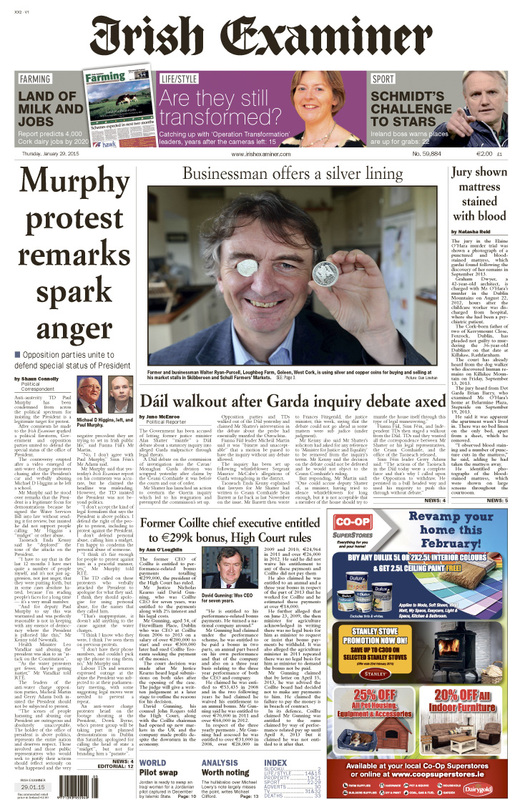 This has included the demonisation of Murphy himself and a campaign of vilification that has attempted to smear the campaign against water charges itself, though it seems with little effect. 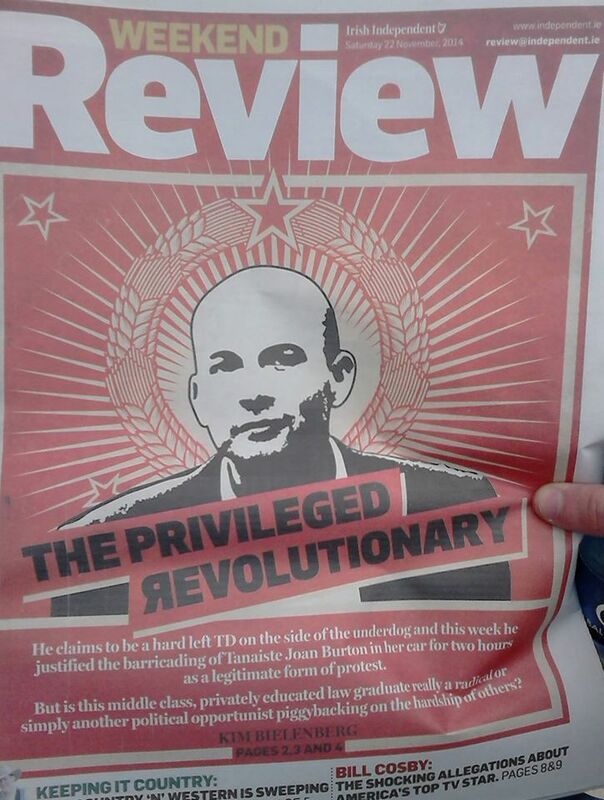 Critical Media Review has been following the media coverage over the last number of months with a discussion on the delegimisation of the movement here, the coverage of the Jobstown protest here, and the recent attacks on Paul Murphy TD from the Irish Examiner here. There has of course been much much more across all mediums. Overall we can point to evidence of utterly biased and hysterical reporting on what has been in the whole an entirely peaceful if disobedient movement. We can also suggest that the recasting of entirely peaceful protestsas violent, dangerous and undemocratic leads to a certain atmosphere. This kind of atmosphere legitimises what can only be termed highly political policing where the arrest of no less than three democratically elected politicians from a single party on extremely spurious grounds can be permitted This alongside the comments by the Gardai top brass on the ‘tone’ of protests can only be taken as an attack on the democratic norms of free assembly and against effective forms of protesting such as picketing and boycotting.